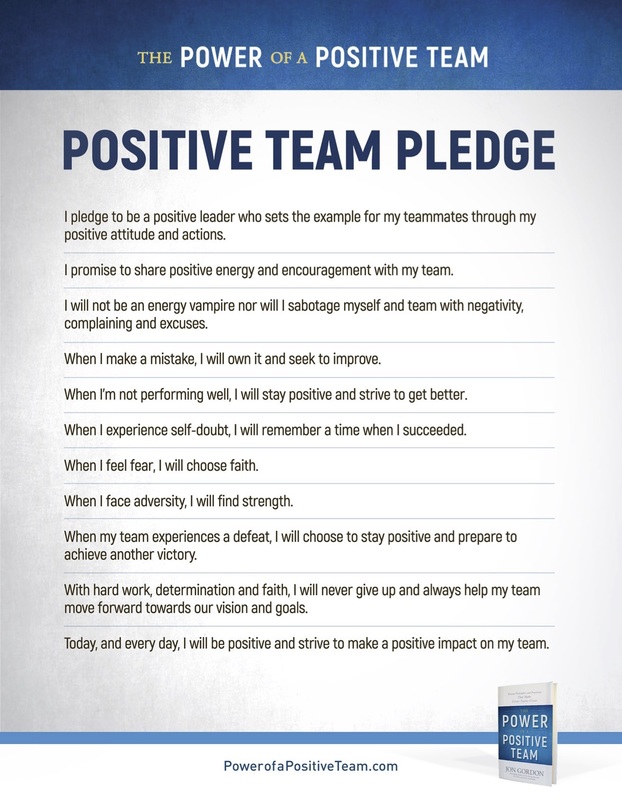 Any team can experience victory, but a positive team can achieve extraordinary feats. There is a whole new level of power and productivity when implementing positivity into every avenue of your life, and Jon Gordon has captured the very essence of positive, disciplined behaviors and processes in his best-selling book, “The Power of a Positive Team.” Gordon has inspired readers and audiences around the world, sharing key principals proven useful by Fortune 500 companies, professional and collegiate sports teams, non-profits, families, couples and individuals, helping people reach their fullest potential through a positive mindset. 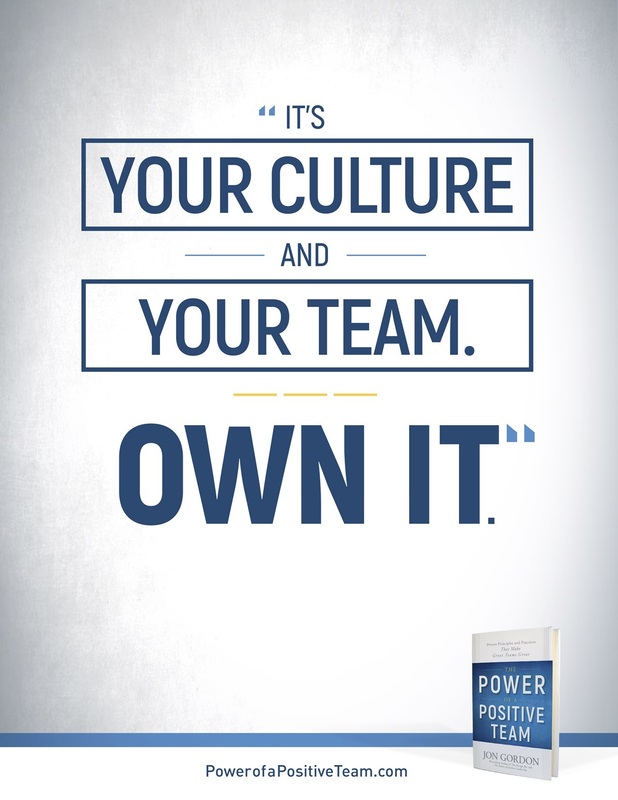 “The Power of a Positive Team” shares proven principals and practices that make great teams great, and while many people may view this powerful advice as pertinent towards working professionals, implementing positive leadership spans far beyond the workforce. In fact, positivity starts within your very own home. Gordon has witnessed the power that positivity has on a team, generously sharing his findings and knowledge to catapult individuals and couples to new heights. You are better together, and when you are together, you get better individually. Additionally, research supports the notion that positivity is a game changer, especially within a marriage. Interestingly, relationship expert, John Gottman, found that marriages are much more likely to succeed when the couple experiences a five-to-one ratio of positive to negative interactions. Gordon also shares “The 4 C’s” which spell out the ways to unite and remain committed, no matter the arena. And in my own small world, I wouldn’t be me without my wife and the love of my life, Kathryn. She stood by me and believed in me through all our challenges and ups and downs. She put up with me when I was very negative. She helped me work through my past issues and become a better man and leader. She took care of our children when I was on the road speaking a lot. She encouraged me to go after my dream as a writer. She gave me strength and encouragement when I wanted to give up. She gave me love and support so that I could give love and support to others. Without her, I wouldn’t be the man I am today. Having worked with countless teams, Gordon has discovered that there comes a moment when a team becomes a real team when the members of those teams can look back on a defining moment and say “yes, that’s when we really came together.” From sports teams to marriages to work teams, there is a special, shared feeling during that defining moment, and when it happens, therein lies the magic. Gordon reiterates that to be a great team, whether a professional unit or personal relationship, you must hold each other accountable to a standard of excellence. Challenge, love, and encourage each other through the process. He acknowledges that change may, indeed, be uncomfortable, but discomfort leads to growth. Thank you, Mr. Gordon, for inspiring me to raise the bar, push out of my comfort zone, and pursue excellence, individually and together, with my family unit. We are better together, and “The Power of a Positive Team” will certainly birth a breakthrough for everyone who reads it.